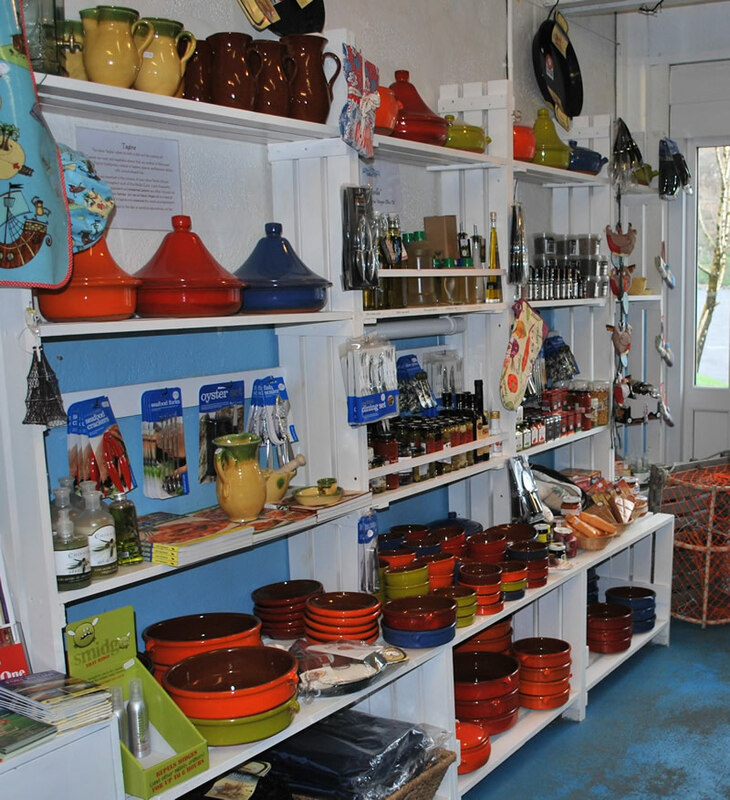 Our deli & gift shop sells live shellfish and fresh & frozen fish, plus a unique range of Spanish cookware products. 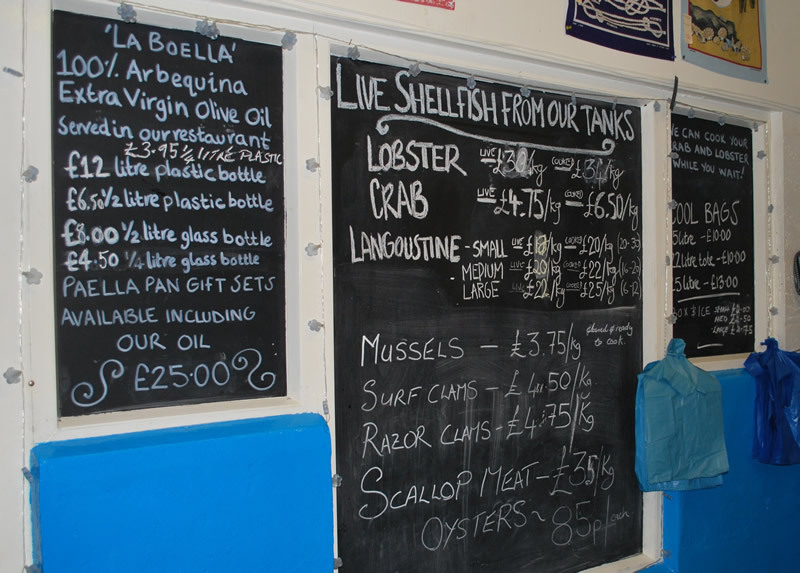 Adjacent to our Deli & Gift Shop is our worldwide shellfish distribution centre. 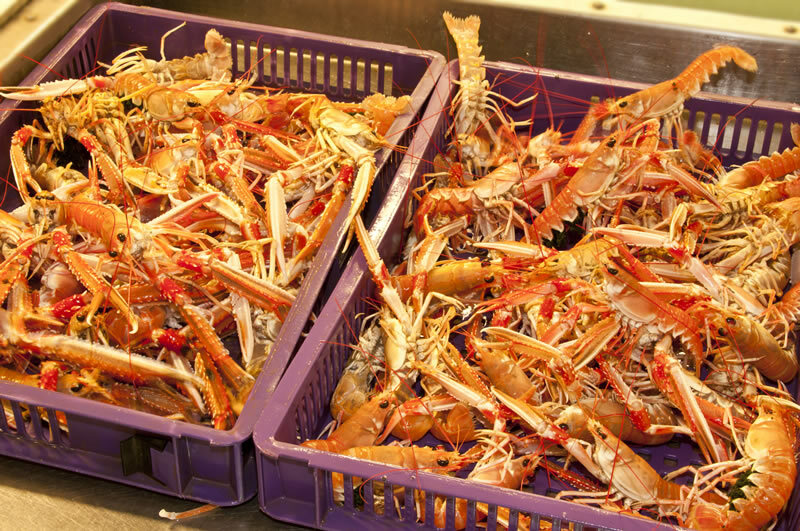 After being caught locally by our own fishing boats, the shellfish is stored in these tanks, where the water is pumped continuously from the cold clean sea-loch on our shore. 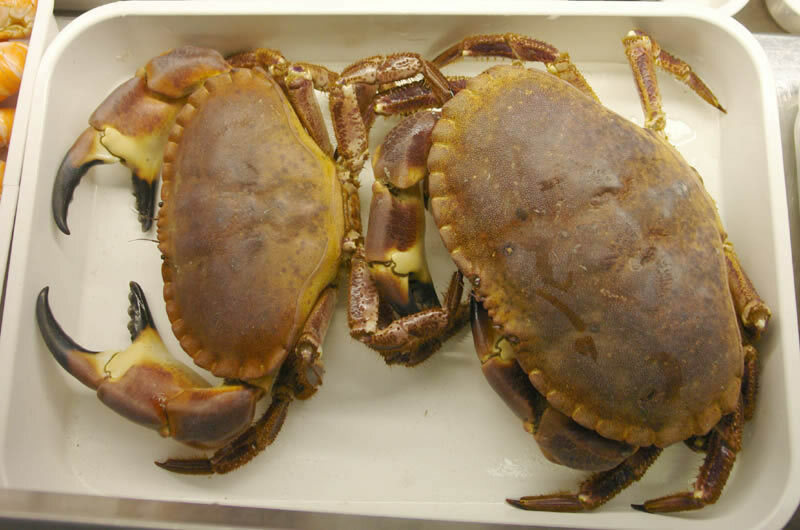 This allows our Chefs to access the freshest possible west coast seafood for the Restaurant and our Deli before exported to various UK and global fish-markets. Our Deli Counter : Includes cooked shellfish, smoked salmon, pates, cheeses & hams and Spanish specialty items. 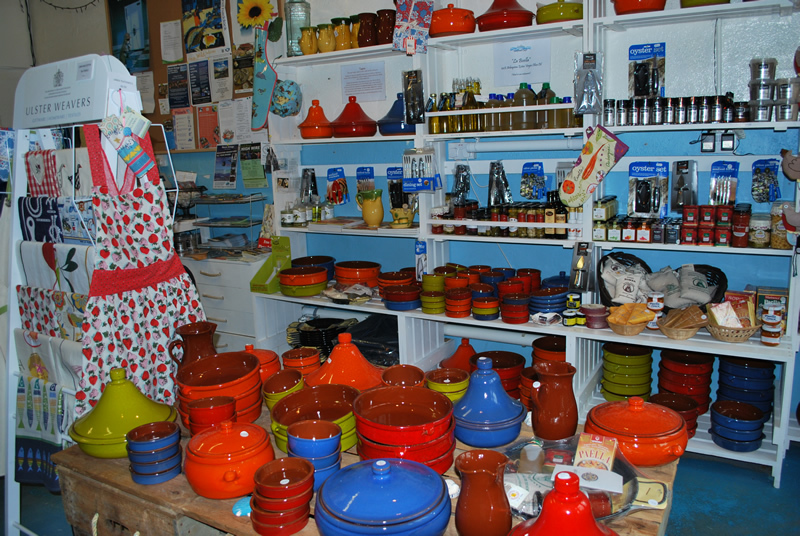 Too busy to cook or lacking the adequate cooking facilities? 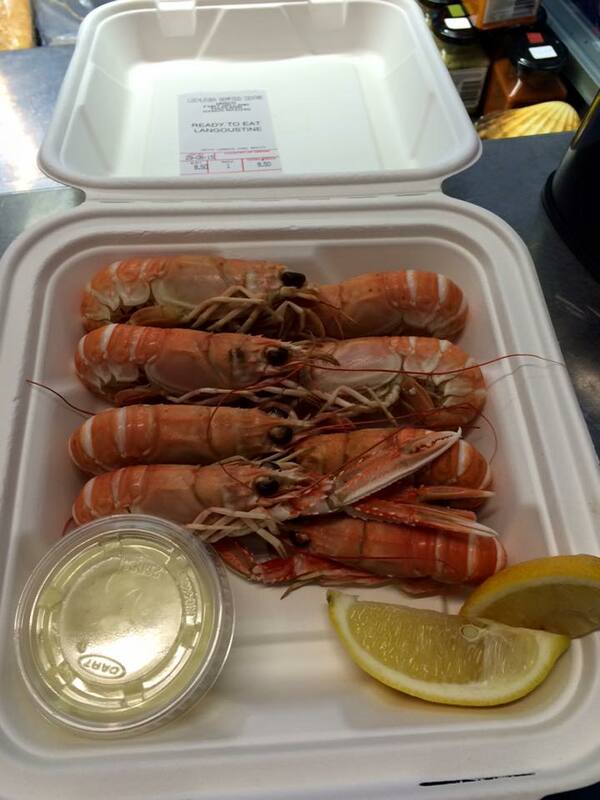 Do you want a lobster, crab or langoustine cooked while you wait to take away? 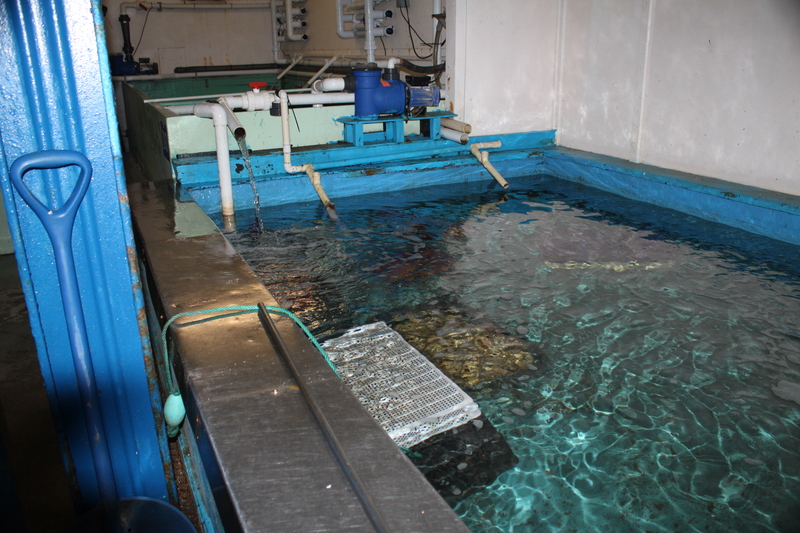 We can do this for you! 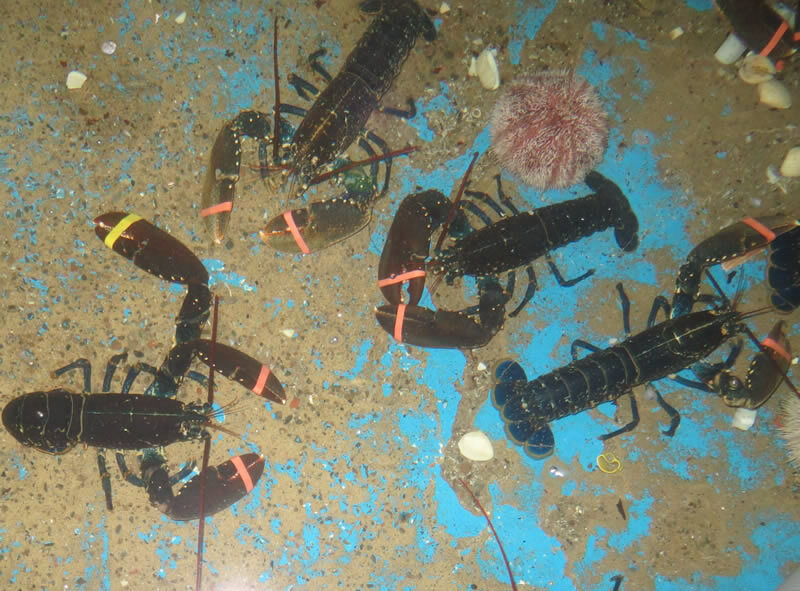 Choose your own lobster from our on-site salt water tanks and wait comfortably in restaurant or loch-side terrace over a coffee & cake or lunch while we cook your shellfish and for you to take away. 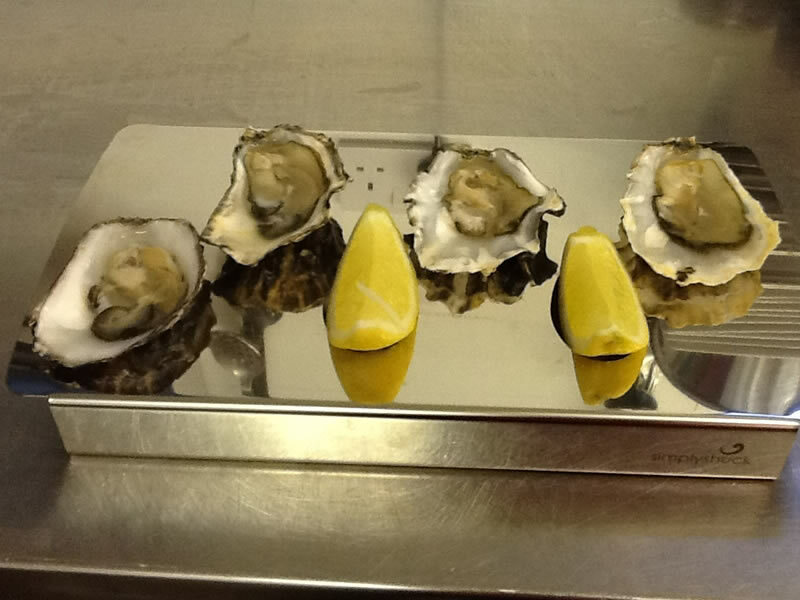 If you prefer, pre-orders of cooked products can be taken by phone: perhaps a picnic lunch or cold seafood platter or oysters in the half shell. 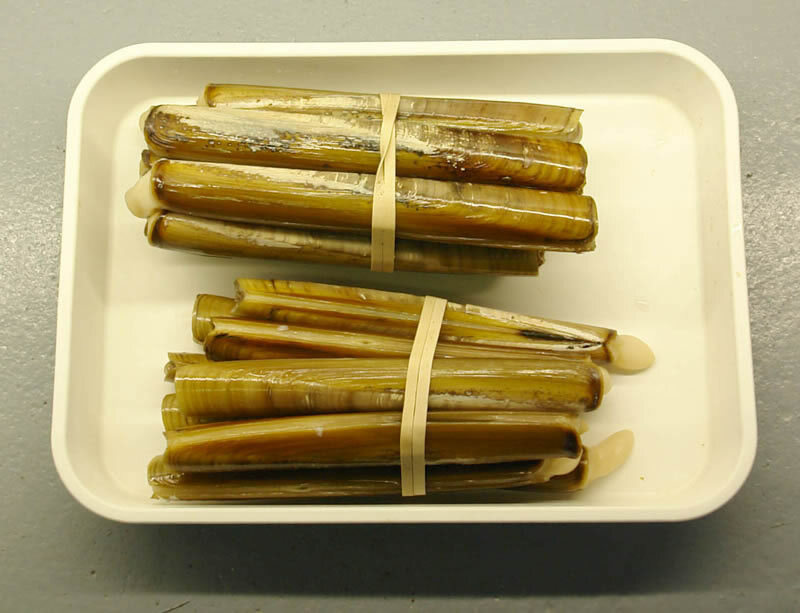 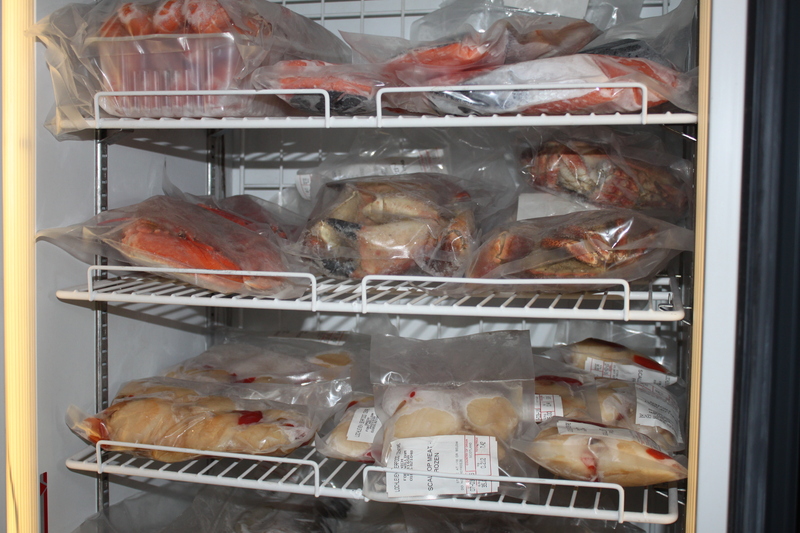 Pre-order a box of cooked or live seafood on ice to take home. 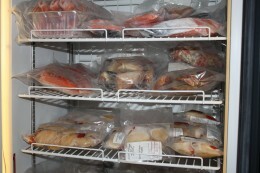 The ice will keep everything fresh for up to 12 hours. 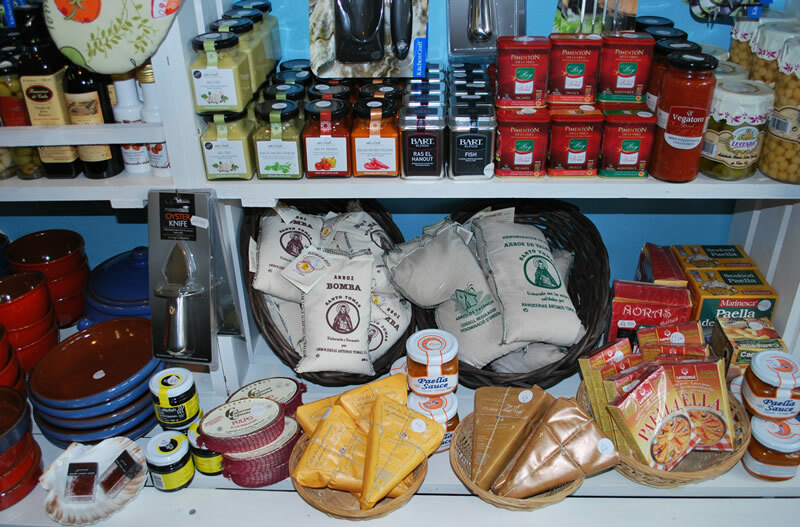 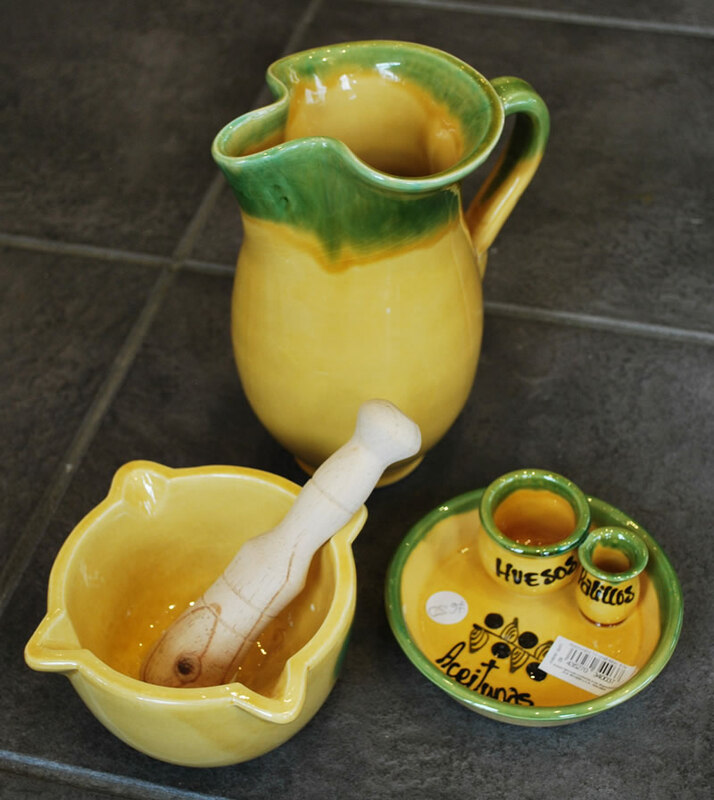 The Gift Shop : Our business ties with Spain inspired us to import specialty items for sale. 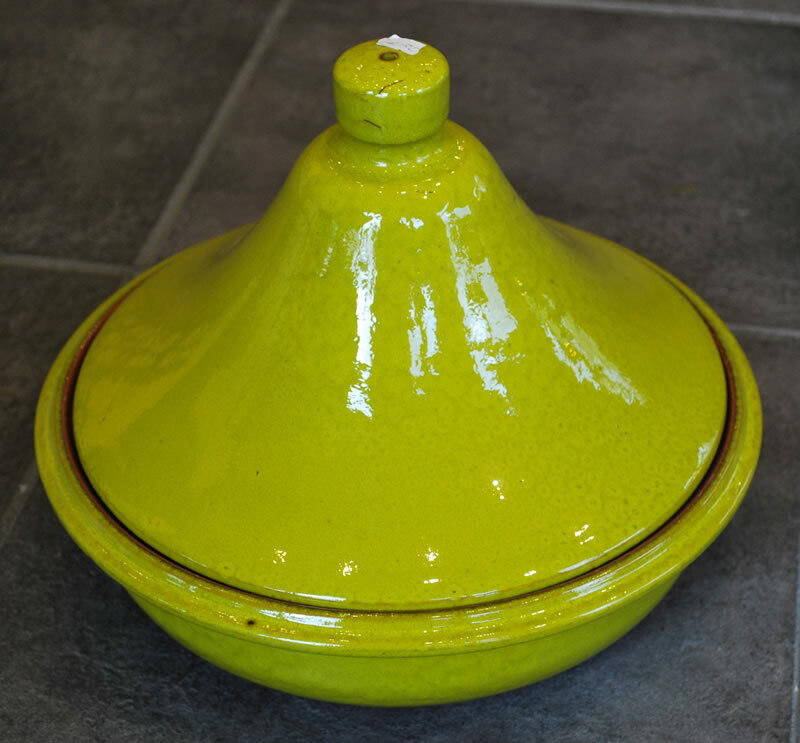 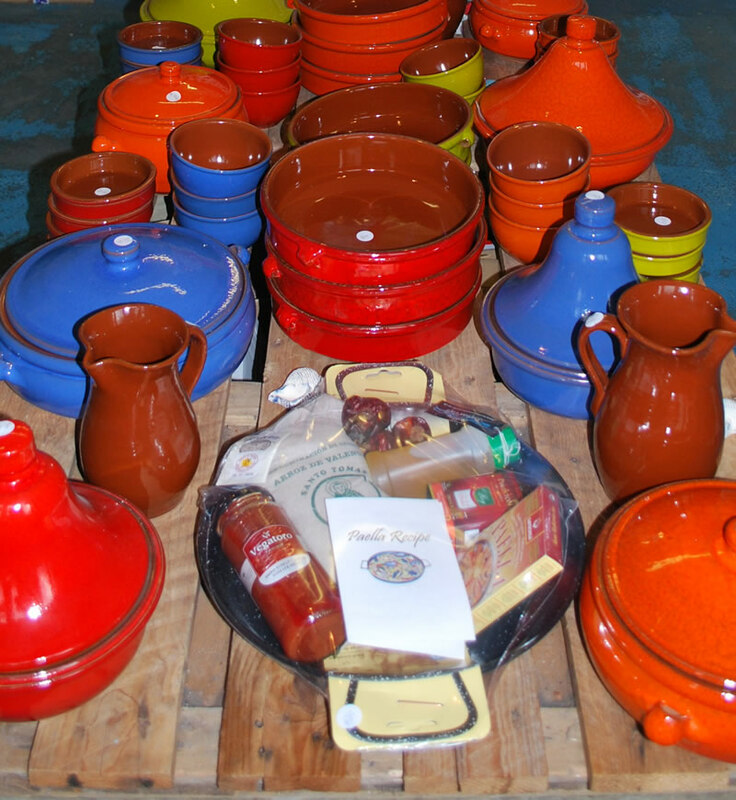 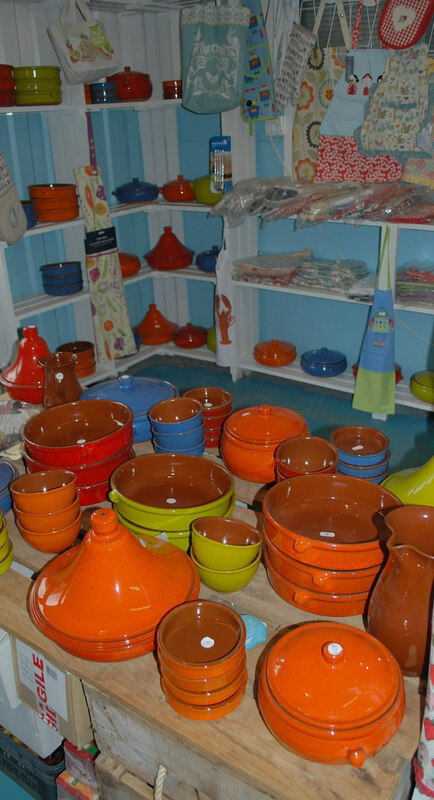 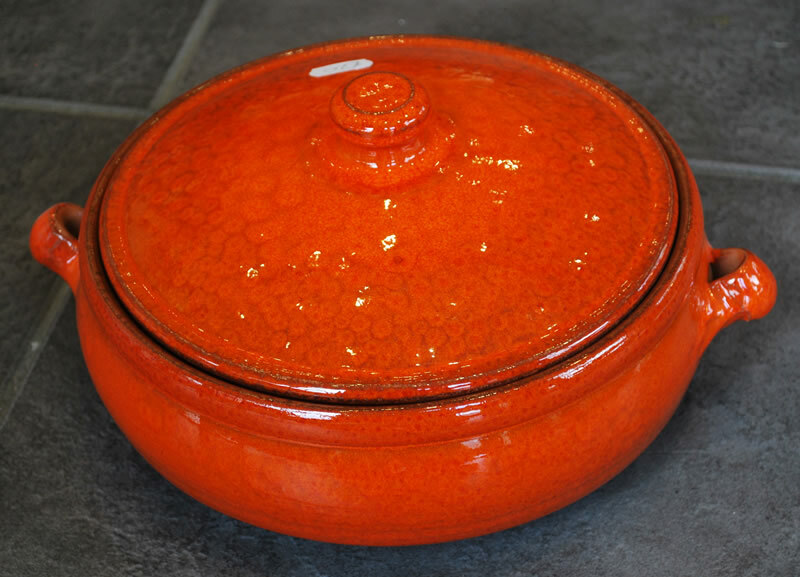 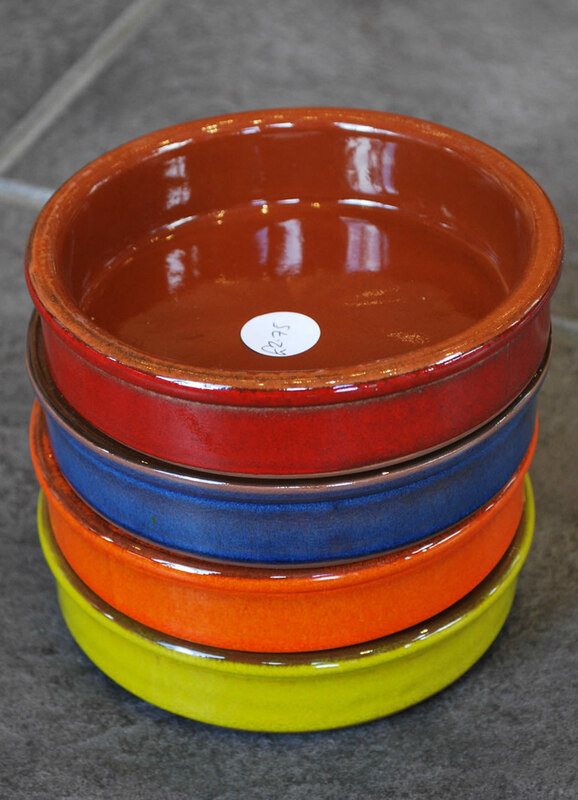 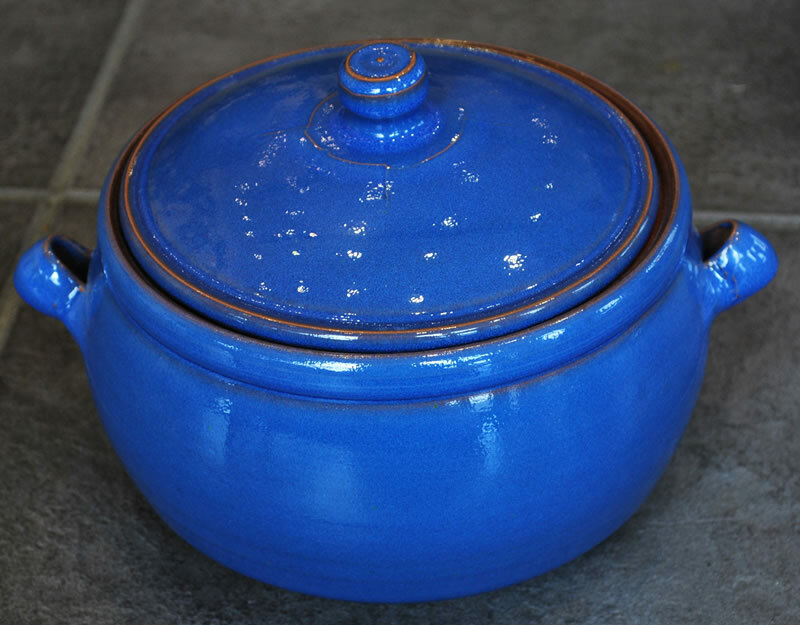 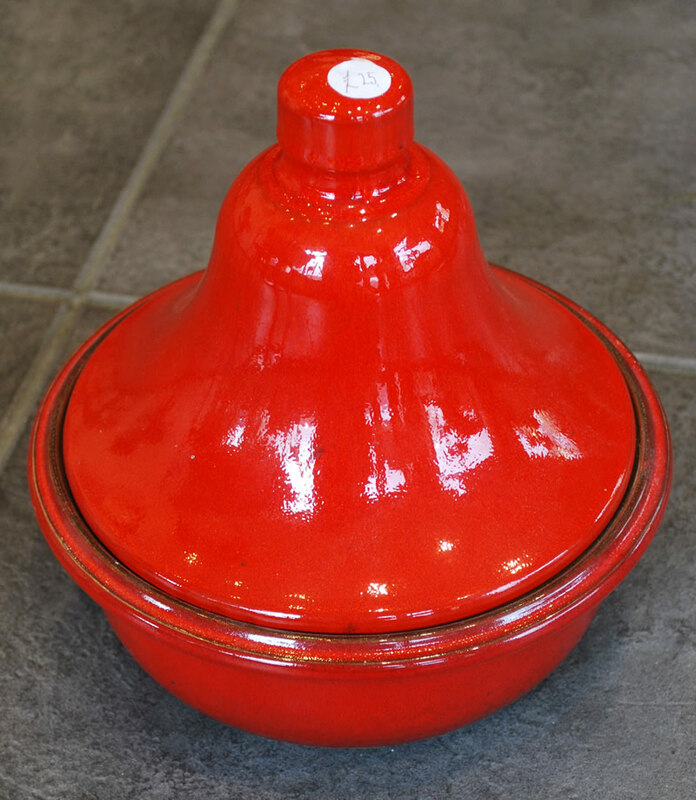 We have a range of the coloured Spanish cookware, which we also use in the restaurant. 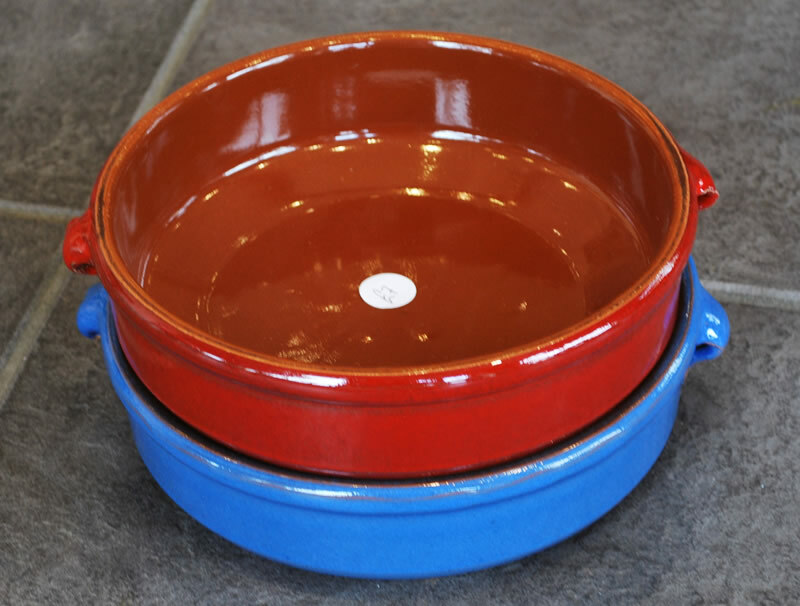 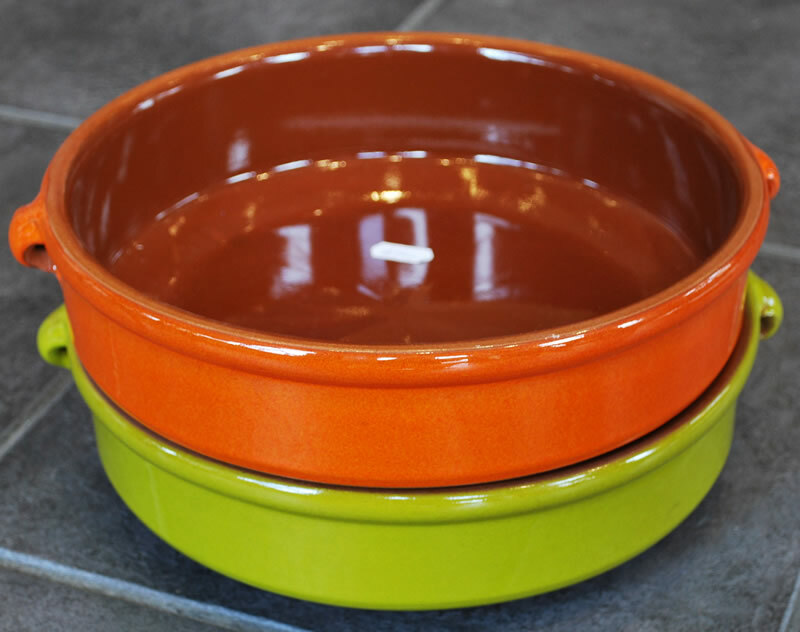 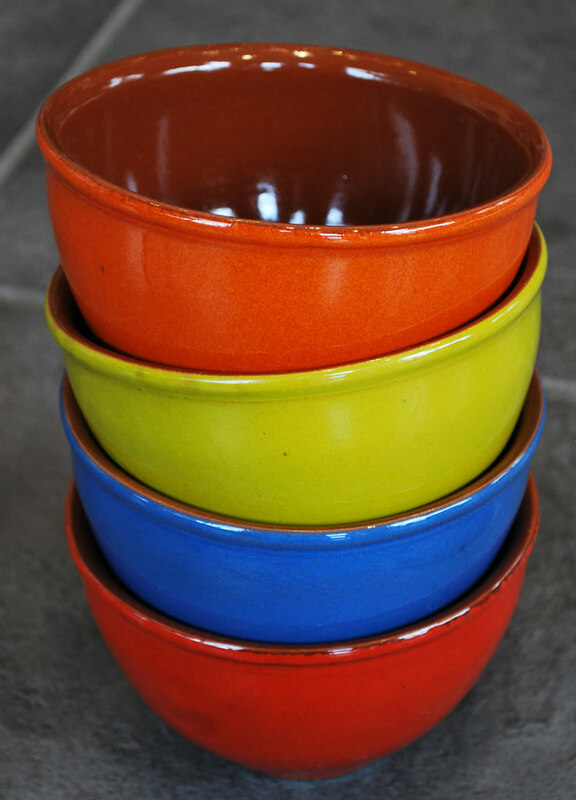 These colourful and practical oven to table dishes are made in a small pottery north of Barcelona and are ideal for slow cooking in the oven or on the hob. 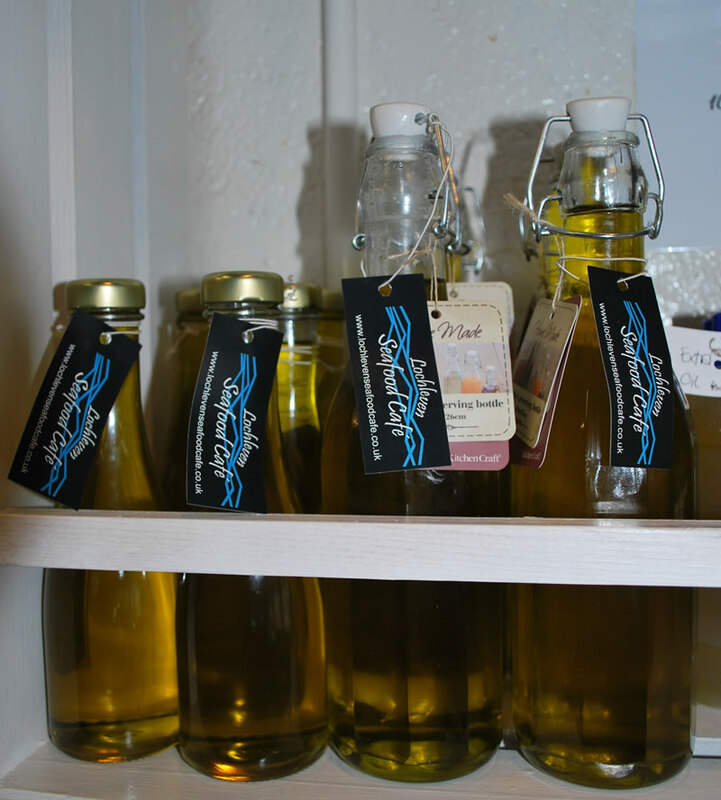 Our Spanish olives, oils & spices are for sale in the shop and used in the restaurant to complement our locally produced dishes. 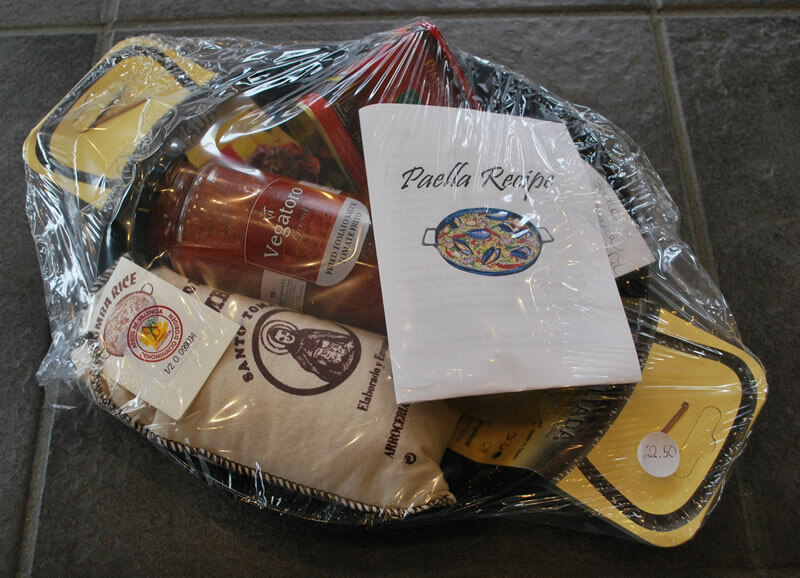 Our paella pan gift sets include: a paella pan, paella rice, olive oil and the spices. 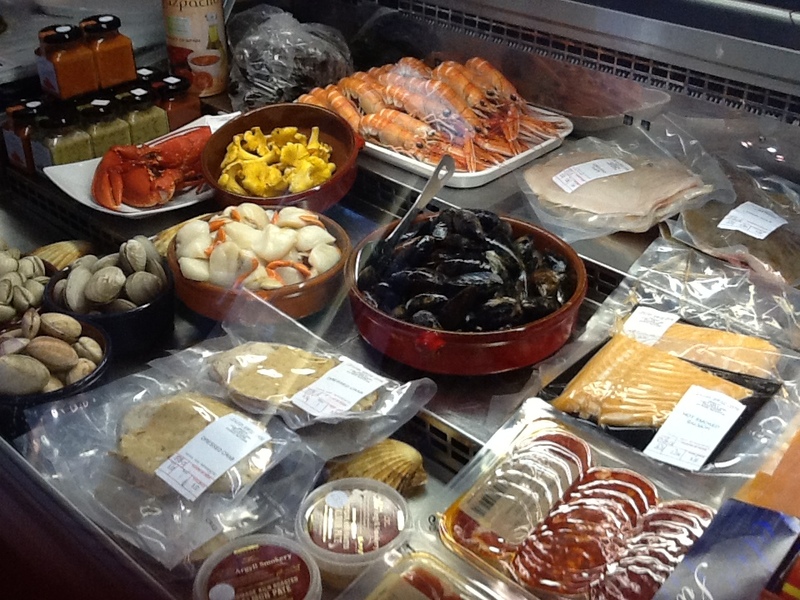 Add to your basket some fresh shellfish from the deli counter and you are ready to create that delicious authentic dish. 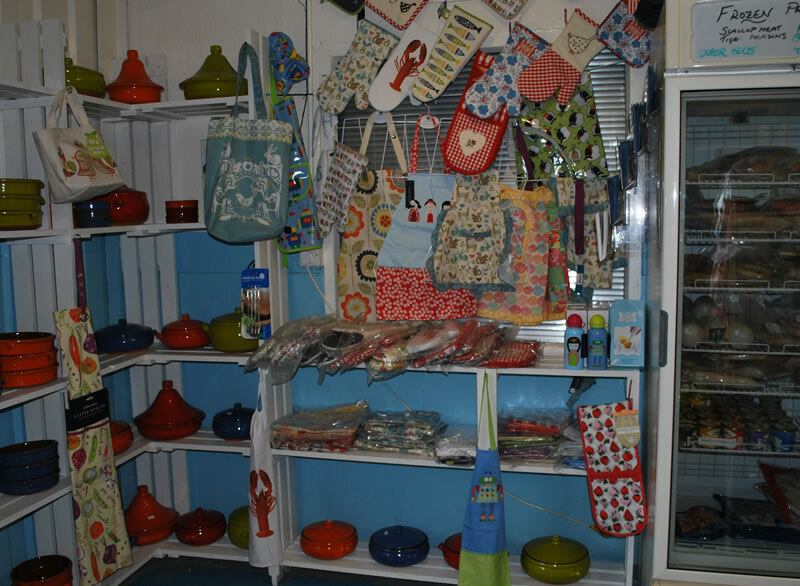 Stock of utensils, aprons and much more on site great as gifts or to help you create the perfect meal for your friends or family with our fresh shellfish and fish.